On the way back to New York, after exploring Nepal, today Elyx is invited to visit Georgia, a fascinating country at the crossroad between Eastern Europe and Western Asia. The UN presence in Georgia is composed of 12 specialized agencies and programs, whose actions are coordinated by the UN Development Assistance Framework (UNDAF) together with actors coming from the national government and civil society. 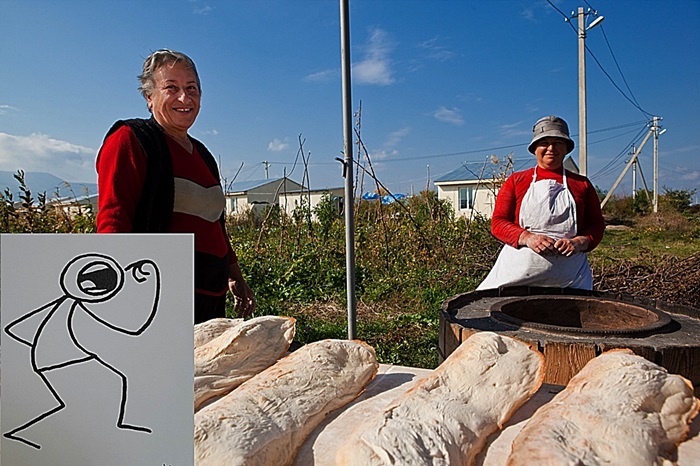 The UNDAF in Georgia dedicates remarkable efforts and programs to reach a wide range of goals. Notably, there are three main areas of work: the one dedicated to poverty reduction, the one for enhancing and boosting democratic development and, finally, the one dedicated to disaster risk reduction. Before visiting the country, our digital ambassador takes a small break at a bakery run by displaced women, under the UN project beneficiaries in Shida Kartly region of Georgia. There, Elyx enjoys the delicious traditional Georgian bread, made in a particular hoven called Tone, which gives the bread its specific taste and shape. Elyx loves it! Moreover, Elyx learns that other similar activities for displaced women are organized by UN Women, in order to promote gender equality, women empowerment and to boost change in local and national polices. Now full of energy and well rested, Elyx is ready to explore Georgia and its amazing mix of natural landscapes and historical sites. The 14th century Gergeti Trinity Church situated under Mount Kazbegi is one perfect example of it. Elys goes there with a bike and it admires the beautiful view. Mount Kazbegi is one of the highest peaks in the Caucasus, reaching 5047m, and in Georgian the mount is called Mkinvartsveri, which means “Ice-Top”. 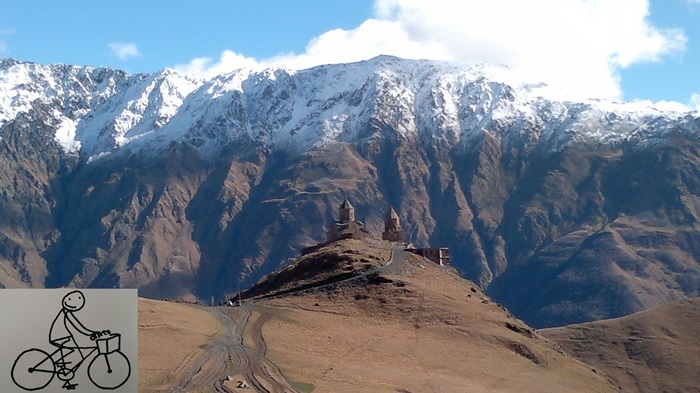 Kazbegi is also a popular waypoint for trekkers, mountain bikers, and one of the most spectacular marathon routes. 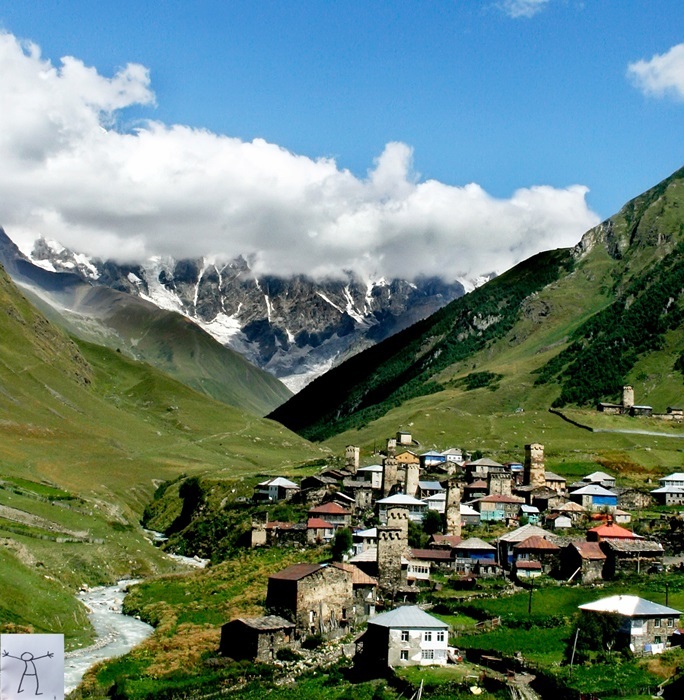 After the trip to Mount Kazbegi, Elyx is invited to visit the unique village of Ushguli. 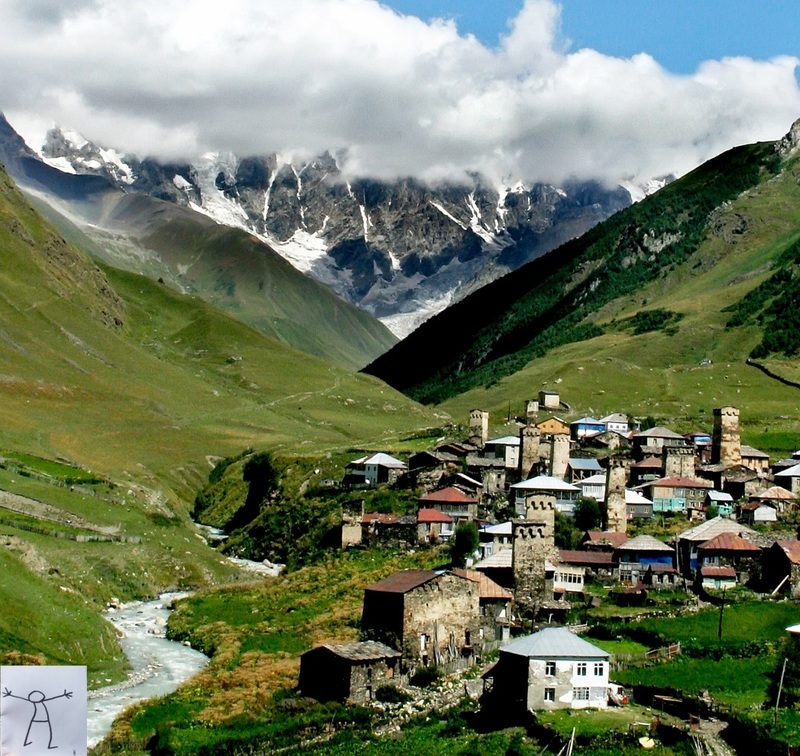 This small village situated around 2,200 meters above sea level is the highest village in Europe and Elyx is amazed when it discovers that it is continuously inhabited. The beauty of this small village surrounded by the framework of the majestic Caucasus Mountains is breathtaking and Elyx is not surprised to learn that Ushguli as well as the whole region of Upper Svaneti are classified as UNESCO World Heritage Sites. With these beautiful images in its head and heart, Elyx is ready to fly again and to say goodbye to Georgia!